It’s time for our first Questions & Answers blog post of 2015! This year I will really try to stick with a weekly schedule for these posts so they don’t become too long. Friday will be the Q&A day, so remember to check back every week! And of course you’re more than welcome to send in your own questions as well, using the contact form here. How to reach TRS on eBay using dropshippers? How to arrange shipping from China to UK? Do I have to register with HMRC as a private seller on eBay? How to spot a SCAM wholesaler in China? How to properly download Spicy Auction Templates? What to do with 200 phone cases on eBay? Can I share my eBay account credentials with outsourcers in The Philippines? I sell cheap products (priced between $3-$8) via dropshipping from China and I only use auctions, as you advised me previously. 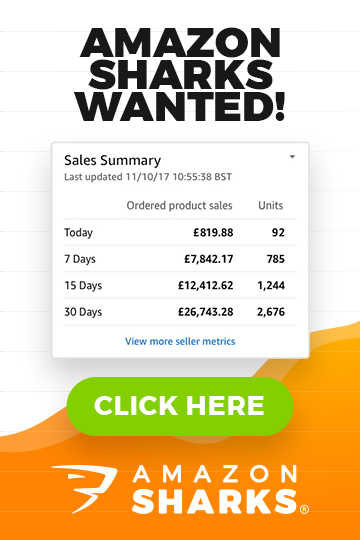 I prefer selling low-cost products so that I have a 100% sell-through rate as I’ve noticed that the more I sell the more views and bids for my items. After a lot of research I have finally found a true supplier from the USA through Worldwide Brands and I plan to start dropshipping with this company (selling to USA) and reduce my dealings with Chinese dropshippers. My main goal is to reach TRS status and my question is: can I achieve this with my new supplier? I have found some hot products, both cheap and expensive but as you said; there’s not much chance of me getting any views with BIN. But then there are some products that don’t sell as well with auctions as BIN and then though listing with a low starting price will help me get more views, I also run the risk of selling products at a loss like this. What would you suggest I do? Yes, to reach Top Rated Seller status, auctions are easier to work with as you are pretty much guaranteed to sell everything. The downside, as you pointed out, is the fact that you can’t control the final price and with more expensive items this can be a very risky strategy. You can of course use a reserve price OR start the auction at a higher price but that will put off the majority of bidders, thereby losing most of the benefit of using auctions in the first place. Also – if you start an auction at a higher price, that means higher insertion fees as well. I recommend you keep doing what you’re doing now until you reach TRS level. In USA, you can still use your new supplier; just concentrate on cheap items first, until you get TRS status. Once you get that, you can start using GTC listings and sell more valuable items at a fixed price. I have just recently watched your importing from China video and I think I can now say that I would be confident in finding a supplier to order from, without being scammed, but the only thing I can’t seem to grasp is how to arrange the shipping from China to the UK? How would I go about this? Do I arrange it with the supplier or do I have to contact shipping companies myself? I was wondering if you could shed some light on this for me please? Courier – if you’re using a courier service, like DHL, UPS, FedEx and others, it’s best to just let your supplier arrange shipping for you and simply add the shipping costs to your invoice. Chinese suppliers usually get better/cheaper shipping prices compared to what we can get here in the UK so there’s no point really doing this on your own. Air/Sea Freight – your supplier can also arrange shipping via air or sea freight for you BUT in this case, when goods arrive in the UK, you would have to take care of the customs clearance procedure and arrange delivery of goods from the port to your address. That’s why with air/sea freight shipping methods I recommend using a UK based freight forwarding company who can take care of the shipping, customs and delivery to your door, all for a fixed fee. The company I recommend for this is Woodland Global. There are many freight forwarders in the UK but I have had nothing but good experience with Woodland Global over the last few years plus their pricing is very reasonable. I did as you said and registered as a sole trader with HMRC. However, I have not registered as a business on eBay as it says for a basic shop it allows you 200 listings at 10p per listing. However, I only have 43 individual items listed and it’s pretty much free for me to list items as I get 20 free listings per month and then usually throughout the month I get promotional free listings for being a good seller. To open a basic shop its £19.99 per month, and to me this seems a lot when I don’t pay anything now and I don’t have anywhere near 200 listings. As a sole trader, I am declaring tax via HMRC so do I HAVE to register as a business on eBay as well? I contacted eBay a few months ago (before I had registered with HMRC) to ask them if I should be opening an eBay shop and they advised me that as I didn’t have many items listed it wouldn’t be worth my while to pay the fee for a shop. This could have simply been one person’s opinion at eBay and may not be the actual policy so I wanted to get your advice. I have also heard that if eBay deem an individual as a high seller the system automatically contacts you suggesting you open up a shop? Any advice you have would be great. Having an eBay shop subscription. These are two different and separate things. Even personal account holders can open a shop – it’s just an added/paid for service you can purchase no matter whether you’re a business seller or not. That is for the Basic Shop subscription, for Featured and Anchor shop subscriptions, yes, you have to have an eBay business account. Now, onto the second matter of whether or not you need to register as a business seller on eBay – YES, you do have to do that. If you’re registered with HMRC as a sole trader and run a business on eBay, according to eBay’s rules you have to upgrade your account to a business one. You don’t have to open up a completely new account, just upgrade your current one to Business. Even if it wasn’t mandatory under eBay’s rules, you would still want to upgrade as ONLY business sellers can qualify for the Power Seller and Top Rated Seller programs and you definitely don’t want to miss out on them by staying a private seller. Lastly – about the shop subscription – again, it’s actually in your interest to have one. As only when you get an eBay shop can you start using the Good ‘Til Cancelled listing format which is CRUCIAL to get high eBay search positions. I managed to find this site in my research: http://www.ttealeaf.com. The company is in China and the products are all branded and very cheap. How can I tell if the site is genuine? I have emailed them and asked directly and have been assured that everything is 100% genuine, but how can I be sure this is true? And they have also told me that all products will come with a manufacturer’s warranty but I want to be sure about this before buying. Payment has to be made via bank transfer or western union, is this safe? And finally, delivery, this will be via DHL because I am ordering in bulk – does that sound ok to you? And do I just add 25% to the products final price to account for tax and import duty? That website is a 100% SCAM, so stay away from it and any such similar sites! How can I tell that it’s a scam? EASY! 1. They’re based in China. Any website based in mainland China selling wholesale, branded electronics is either a total scam or will send you fake goods. China is NOT the place to go for wholesale iPhones, iMacs and similar branded electronics. 2. Prices are too good to be true. This is actually the easiest way to spot scammers. Just take a look at the prices on that website – an Apple MacBook for 400 EUR??? C’mon! It’s UNREAL! You’ll NEVER EVER find such low prices with genuine wholesalers. Margins on branded electronics are very, very small so prices this low are a clear signal that the website is a pure scam. I was hoping you could help me with a problem I seem to continually run in to. I would like to use one of the Spicy Auction Templates however when I choose “Download” I just get a page with a bunch of data on the template but don’t actually see the template itself, that I can then personalize. How can I personalize these templates for my specific items? Yes, some browsers will do that – they will open the HTML code instead of the actual template preview. The fix is very easy though – all you have to do is select all of that code with your mouse and copy it. Then you can paste it into notepad to save or paste directly on to eBay or Turbo Lister (in HTML mode) to start creating your listing. I came across your website when I was looking for ways to increase my eBay sales for my iPhone cases and it just so happens that that is what you did your example on and you said to not even waste time trying to make it work with these products. I have a small history of successful sales with screen protectors and such and now have 200 phone cases lying around that I had planned to start selling. They are all the same products that the Top Rated Sellers are selling, so do you suggest not even pursuing this at all and wasting time and money or is there a possibility of making a success of it after a few months of hard work? I just feel that big returns could be possible considering I bought the cases for $0.30 each and they are selling for $4 on eBay. I would really appreciate it if you could email me back with some advice. If you have cases purchased already, of course you should give it a try! Phone cases are a very competitive market on eBay, and one of the hardest ones to work in, BUT if you have already purchased these cases, you should definitely list them and who knows – maybe you’ll get lucky and eBay will give you some love! Before you list them, make sure you check out my listing creation and product photography guides to learn how to create a really good listing. As in competitive markets like this, the top sellers have beautiful listings with terrific product pictures so you really need to be on top of your game to stand any chance of making sales. Once you’ve taken care of that, you should start a Good ‘Til Cancelled (GTC) listing with a very low price – $0.99 with free shipping – and hopefully eBay will give your listing a quick boost which will allow you to get those all-important first sales in. Then, once you have reached 50 or so sales, you can start increasing your price gradually, keeping an eye on your listing’s search position. If it drops down, lower the price until the search position is regained. Depending on how successful you are, it can take up to hundreds of sales at a loss to get to your target price of $4 or even $3 per case. That’s just how it works in such competitive niches on eBay. If you can’t make a GTC listing work – if it just gets buried in search results and you don’t get any sales – just list them as $0.99 auctions and hopefully you’ll sell them that way. You won’t make any profit like this but at least you’ll get 100 or so feedbacks in and 200 sales under your account’s history. Hope this helps Ashton & good luck! Let me begin by commending you on the great work you are doing. I have been recently scammed by a Cameroonian ‘supplier’ who l met on Alibaba, claiming to be a distributor of papers. They are unverified but gave me a great offer and were very knowledgeable about the products as we exchanged over 100 emails in total. I thought they weren’t verified simply because they are based so far from China. I have accepted the loss of USD2200 and have hopefully learned from it but l honestly don’t want anyone else to go through that. If I launch a complaint with Alibaba will they remove this rogue supplier from the site? That’s all l want more than anything. That’s why I always say – ONLY deal with Gold Suppliers on Alibaba and nothing else. I wouldn’t even touch plain verified suppliers, only ones with Gold member status. Unverified Alibaba profiles are commonly used by scammers as they often create unverified profiles for companies (real companies) that are based in the UK or USA and pretend to be them just to scam people. Unfortunately you can only view this as an expensive lesson learnt. You can and probably should report them to Alibaba but sadly it won’t change anything. Even if that profile is removed, they can simply create a new one and continue their so called ‘business’ under a new name so really, there’s not much point in doing this. I was really excited to see your Philippines outsourcing post on your blog, because I’ve been thinking about outsourcing my dropshipping business to the Philippines for a while. In fact, I’m getting my VA to prepare some listings on a database for me to upload, and also help me manage some stock. My worry is I believe it’s against eBay’s terms and conditions to outsource your account management to other countries. Have you done this with success, or should I be worried? I’m just scared to let him log into my eBay account from abroad. Any info/advice would be awesome, because this opportunity could pretty much provide me with a completely passive income! I’m not 100% sure about eBay’s rules on this but yes, I would personally NEVER share my main eBay and PayPal login details with a virtual assistant based in the Philippines. It’s simply way too risky as if someone has access to your account, they can even steal it from you, not talking about the potential mess they can make with your listings, orders, feedback etc. The problem is that eBay does not have an option for people to create sub-level accounts, like you can do on PayPal (if you didn’t already know, on PayPal you can add hundreds of additional logins to your account, with various access levels) so if you ask me, sharing an eBay account with a VA is a bad idea. And other such similar tasks. IF you want to outsource the listing creation, scheduling, and management process, you can look into Linnworks as their software allows you to set up multiple users, with limited permissions as to what functions they can access on your eBay account. 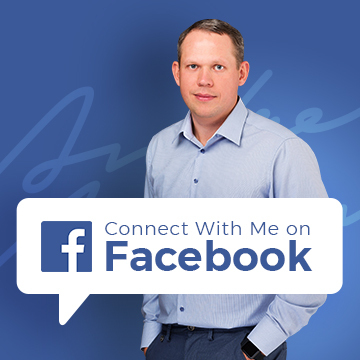 If you have a question (or two), simply get in touch with me here. I have recently been scammed on Alibaba stupidly using an unverified profile sending via Western Union to a person in America, once they had my cash they decided to email to say there were extra shipping costs that they were not aware off, that is where alarm bells went off for me and I told them to get lost, as this was meant to be an Avon wholesale selling wholesale Clinique products, for me I felt that a massive global Company would not suddenly have costs they were not aware of. Then they tried to tell me that would ship from their office in Nigeria and asked me to send money there for release the goods… I feel such a fool for not reading the warning signs before hand and of course (I wish I had read on here first before transferring any money) $450, which was my online start up money. However if I can stop anybody else being scammed by posting this then that would be great, the person in question goes under the contact of James Donald selling Clinique from AvonCostmeticsltd using a W Washington Boulevard address in LA, which is an actual Avon building! You are very correct these scammers do use real Company details and come across as plausible, as did this person. Thanks for sharing this with my blog readers. Branded products in generally are very risky to source online, as scammers know very well that people are looking for such branded goods. What I can recommend you is using Google, legit wholesale directories for USA based companies who deal with these products. And always start with a small sample order just to make sure you’re dealing with a legit company. Def. stay away from Alibaba and Chinese wholesalers in general when looking for branded products as you’ll get scammed or at best – receive fake products. Feeling confident about importing from China regarding safety of money transacted seems to be the no.1 issue that your readers ask about, inc. me!